Donald Trump's frequent campaign events in Trump Tower are attracting scrutiny from New York City officials who want to know whether he is abiding by rules requiring the building's atrium to be open to the public. Andrew Siff reports. 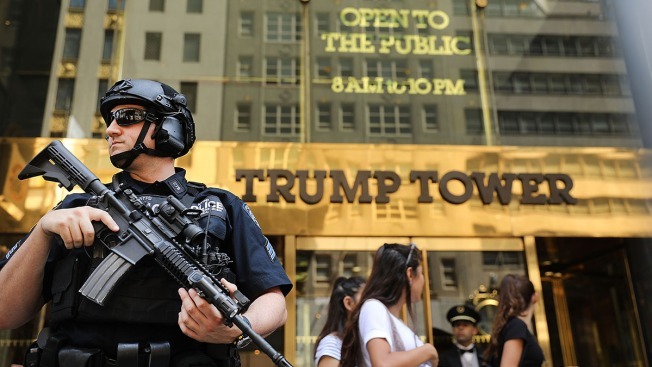 The NYPD estimates it costs $500,000 a day to secure Trump Tower, and all that security has hurt businesses in the area. Marc Santia reports.